A scaled down version of the newly updated stage chronology now appears on marxbrothers.net. 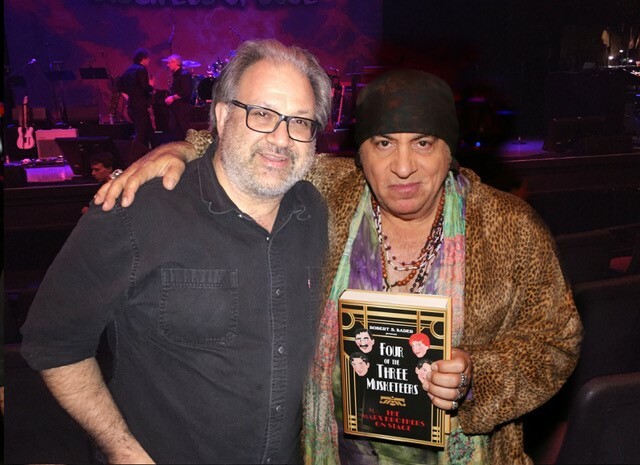 The comprehensive version, which also includes reviews, cast listings, cancelled dates, later solo performances and numerous special appearances, can be found in the book. The web version simply lists the itinerary of the major shows involving the Marx Brothers. 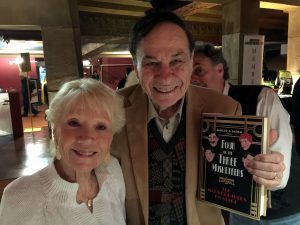 New information is still welcome, so please send any missing dates or corrections to minniepalmer@marxbrothers.net. 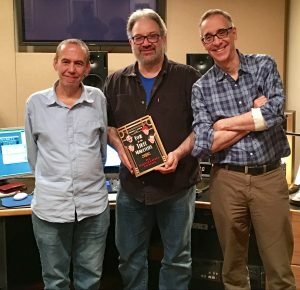 Gilbert Gottfried, the author, and Frank Santopadre at the recording of Gilbert Gottfried’s Amazing Colossal Podcast! 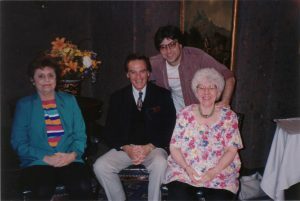 The author with Groucho’s daughter Miriam, Harpo’s son Bill and Chico’s daughter Maxine at the Algonquin Hotel in New York, shooting material for a 1997 French television tribute to the Marx Brothers.